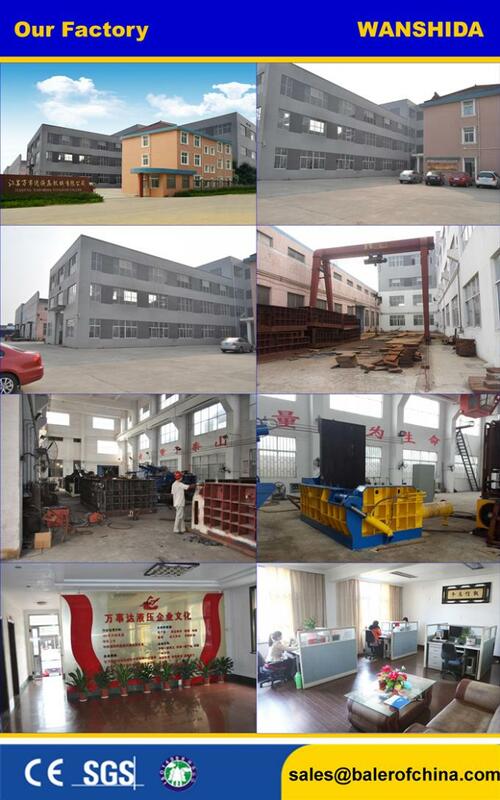 This Y83-5000 scrap metal sawdust briquetting presses are mainly applied in the aluminum alloy section plant, steel casting foundry, aluminum casting factory, copper casting plant, etc. It compresses the waste metal into briquette for melting again instead of the scrap steel, pig iron, aluminum ingot and waste copper. This machine reduces the melting loss of materials, significantly increasing the utilization of waste metal. The scrap metal sawdust briquette press can be operated manually or automatically by PLC. Moreover, the optional feeding system can be mounted to meet the needs of customers. Without heating or adding any additives, this product is able to press various granular or powder cast iron, aluminum, magnesium, titanium, molybdenum and other metal materials into high density cylindrical briquetters, which will not become loose before thrown into the furnace. Under the situations that it is not heated or added with additives, the scrap metal briquette press is capable of pressing diversified granular and powdered materials into high density cylindrical briquettes that are hard to become loose. It processes the waste materials like scrap steel, cast iron, pig iron, aluminum ingot, waste copper, magnesium, titanium and molybdenum for secondary fusion instead of using them directly. Our product makes it easy to recycle, smelt, store and transport the scraps. Moreover, it reduces the cost and melting loss so that the utilization rate of the waste is increased. This product is commonly seen in the aluminum alloy section plant, steel, aluminum and copper casting plants, etc. 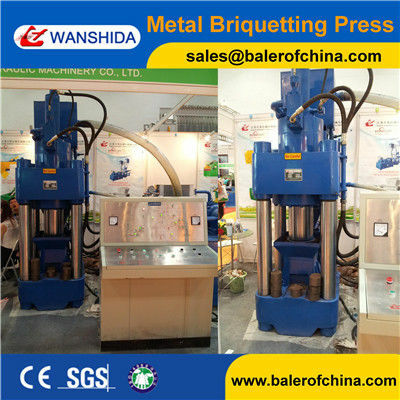 This scrap metal briquette press varies in vertical and horizontal structure. 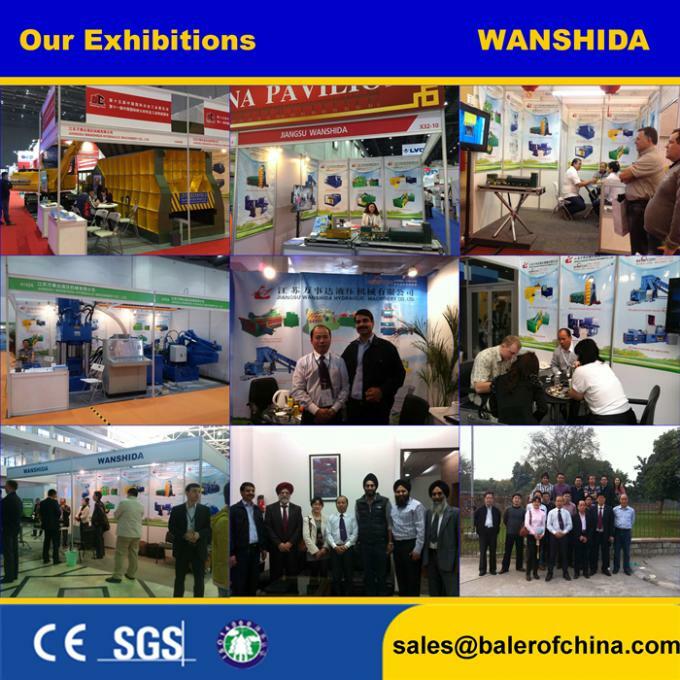 Therein, the vertical product is equipped with or without feeding cylinder. The diameter of bale can be designed in the designated range according to users' need. If there is no special requirement, the machine that weighs less than 200ton is structured with welded frame. With the weight ranging from 200ton to 315ton, the machine is designed with welded frame or four columns. Yet the product weighing over 500ton uses four columns. Our scrap metal briquette press can be designed for manual operation, single automatic operation or continuous automated manipulation. Users are free to select the PLC system for controlling the automatic operation as they want. 1. 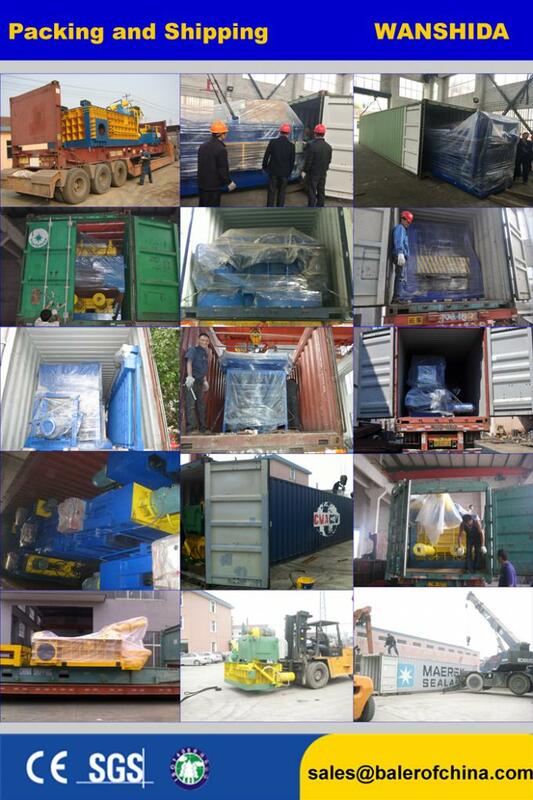 Due to the hydraulic drive, the machine runs stably and reliably. 2. The vertical product needs simplified foundation yet the horizontal machine doesn't need. 3. Under the control of PLC, this scrap metal briquette press possesses strong anti-interference capacity, high level of automation and ease of operation. 4. Based on the demands of users, this product can be equipped with automatic feeding and discharging devices to improve the production efficiency and decrease the labor intensity. 5. It can be powered by diesel engine when there is no electricity at all.